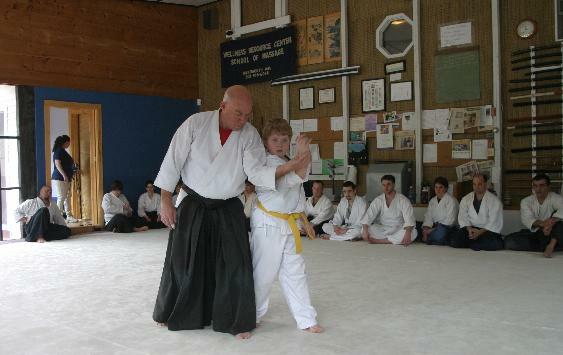 Aikido is the martial art that I study. I have been doing this for the past 25 years. I also have a fondness for things Japanese. I do not know which came first, the culture or the art. I do know that they feed off of each other. I am also a lover of books. One of my favorite past times is browsing through bookstores, old and new. Therefore I have blended both of those interests into an on-line bookstore for used, old, and out-of-print books. It is called "Hanashi". "Hanashi" is the Japanese word for story. By some definitons, an oral story. But what are books but oral stories put to writing. (Maybe a stretch of the definition on my part). It is my goal to make avaliable used books of the various martial ways. To offer fast service, fair prices and a good product. Other categories offered at Hanashi are childrens books of all kinds and, of course, those books that have a Japanese theme, fiction and non-fiction. Selling books, however, is only a part of Hanashi. The other is communication with other followers of the various martial arts, exchanging ideas, and becoming acquainted with those disciplines that each of us follow. The Martial Arts community is a large one and in this day of email and the world wide web, the ability to intereact with each other is easier than ever. So, I welcome you to "Hanashi", to put your feet up and relax with a good book.